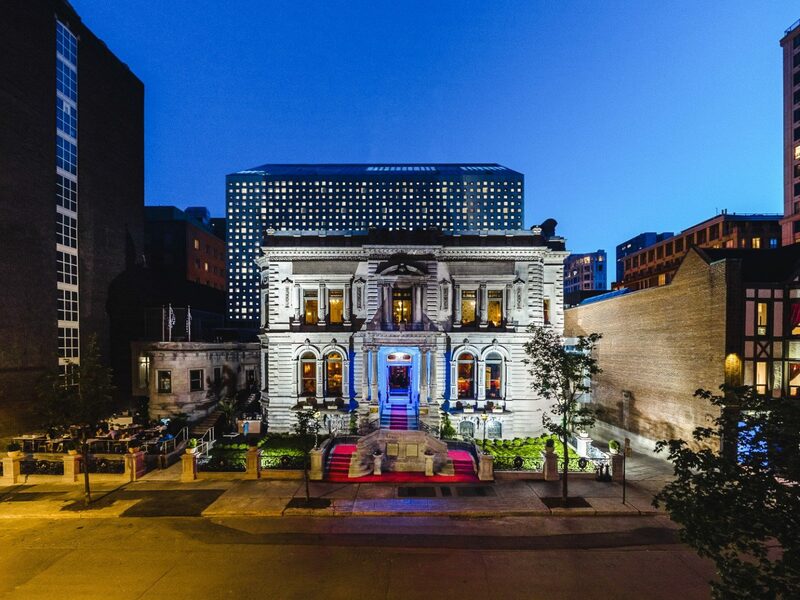 There's no better time to visit Montreal than in late spring. 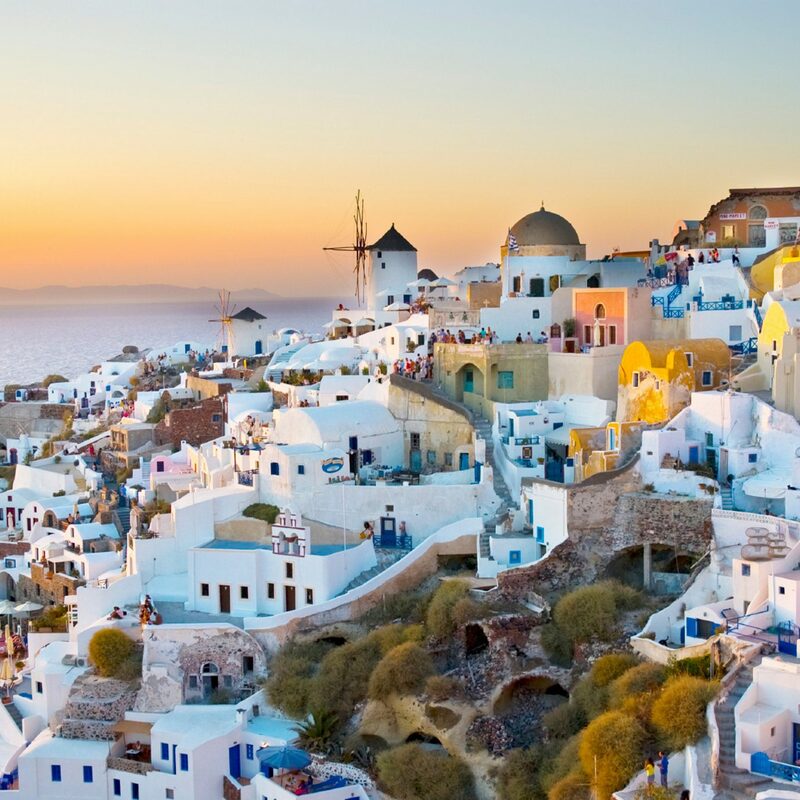 The weather warms up, the sidewalk cafes open up, and locals fill the streets after the long, cold winter. 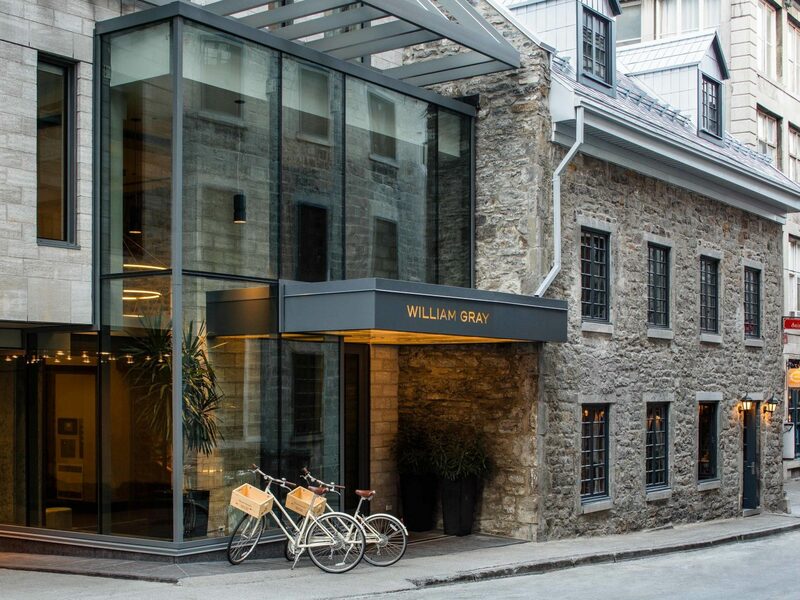 Here are 10 great hotels to consider for your Canadian escape. 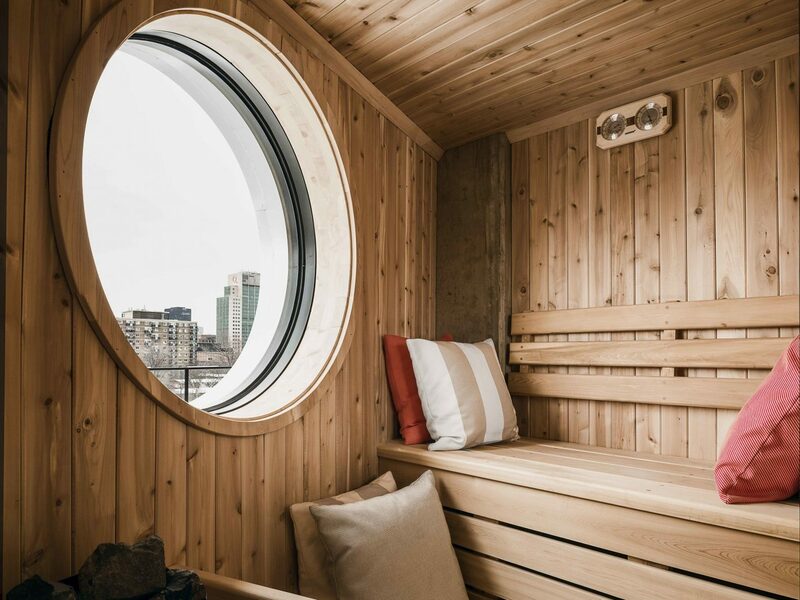 If The William Gray is cool enough for a GQ photo shoot with Stranger Things actor Joe Keery (aka Steve), than it's got our stamp of approval. 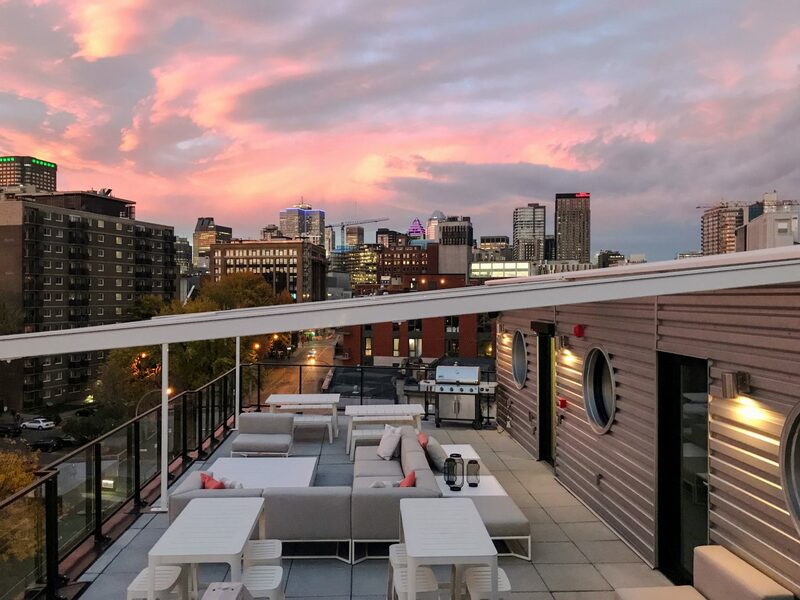 A see-and-be scene crowd gathers daily at the in-house coffee shop, Cafe Olympico, the stylish hotel restaurant, Maggie Oaks, and the buzzy rooftop bar with knockout views of the city. 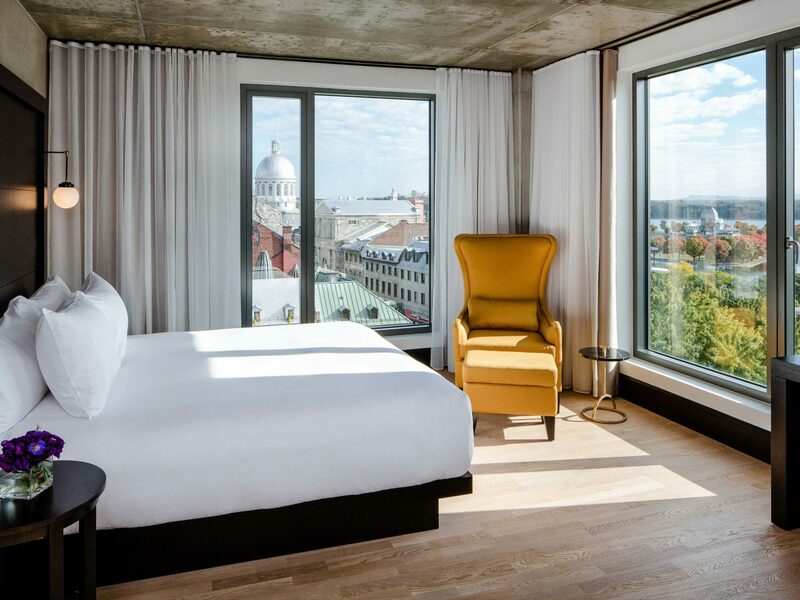 The light-filled rooms are done up in black-metal lighting fixtures, concrete ceilings and rich woods, and the marble-clad bathrooms have handcrafted, Le Labo bath amenities. 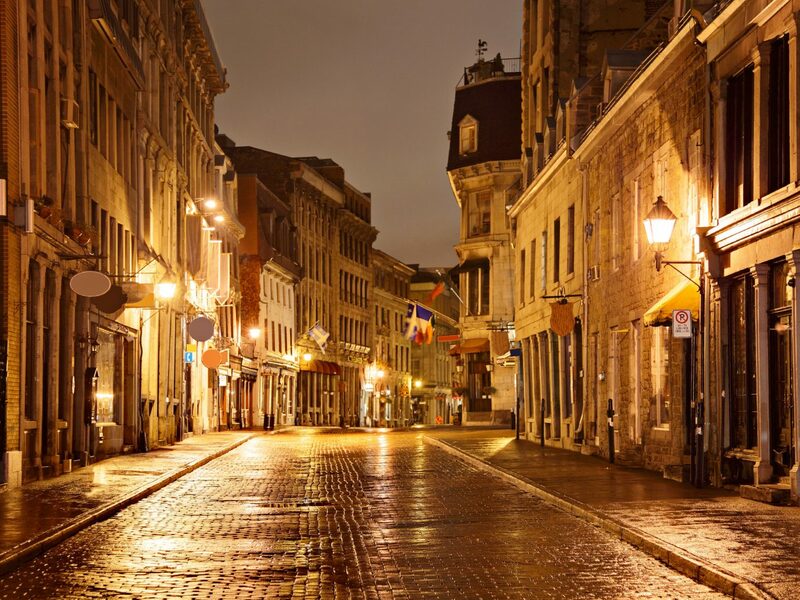 Perhaps the hotel's best selling asset is its location in Old Montreal, within easy walking distance to Congress Center, Notre Dame Basilica, and plenty of museums and trendy restaurants and shops. 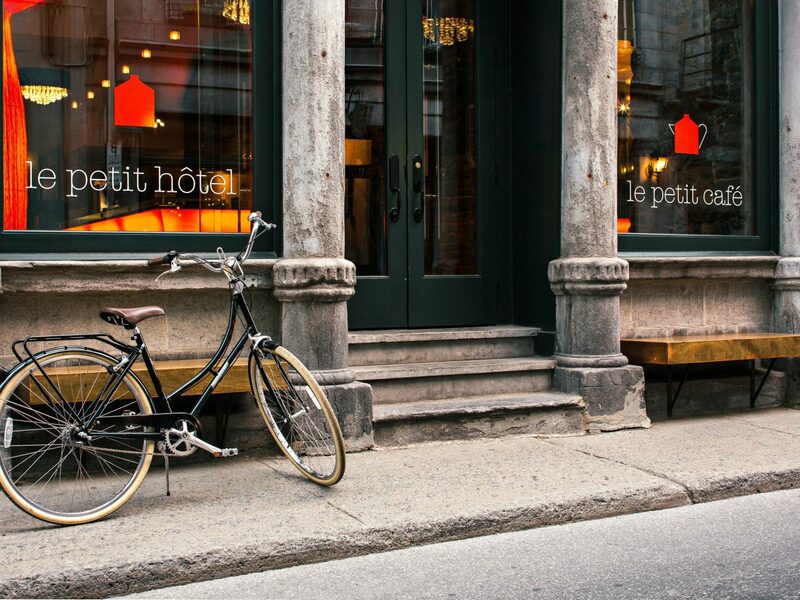 Looking to stay like a local in Montreal? 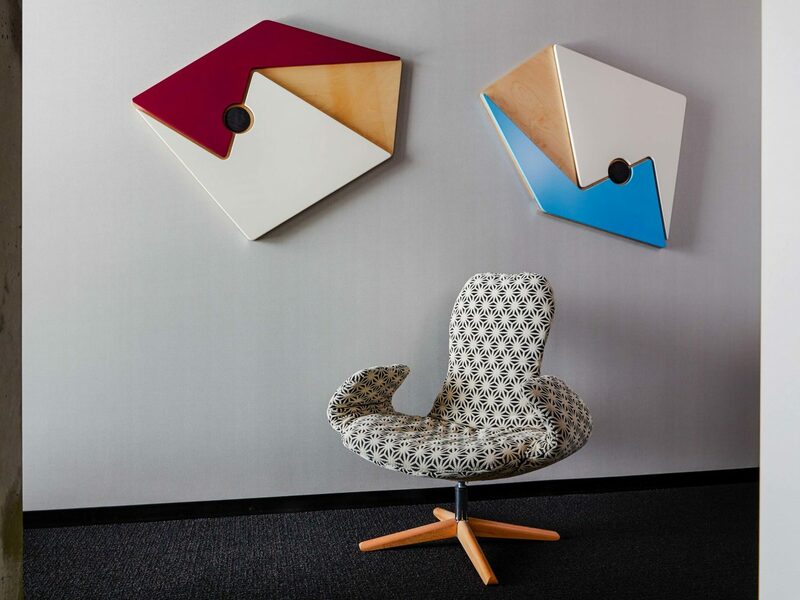 Look no further than Hotel Gault. 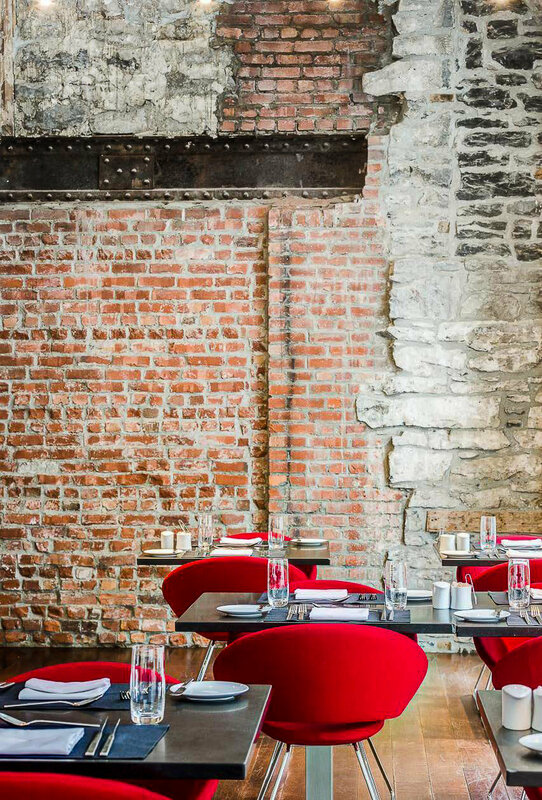 Also located in Old Montreal, but more off-the-beaten path, the hotel is a stone's throw away from the cute French cafes, hip boutiques, and artsy hangouts frequented by Montrealers (and you'll find more locals than visitors at the hotel's restaurant and bar. 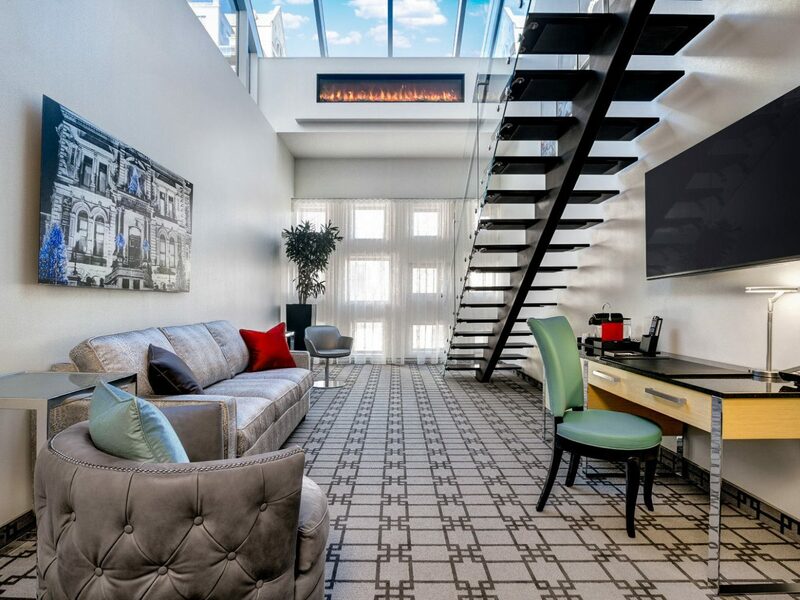 The rooms and public spaces are done up in Mad Men-esque decor like Arne Jacobsen swan chairs, Shin and Tomoko Azumi bar stools and Francesco Binfaré sofas. 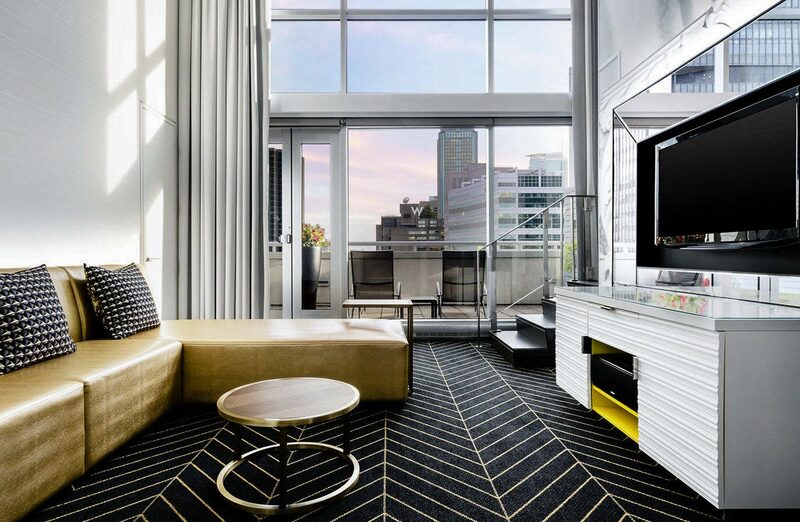 Pick your choice of accommodations, from spacious suites with terraces to even larger apartments. 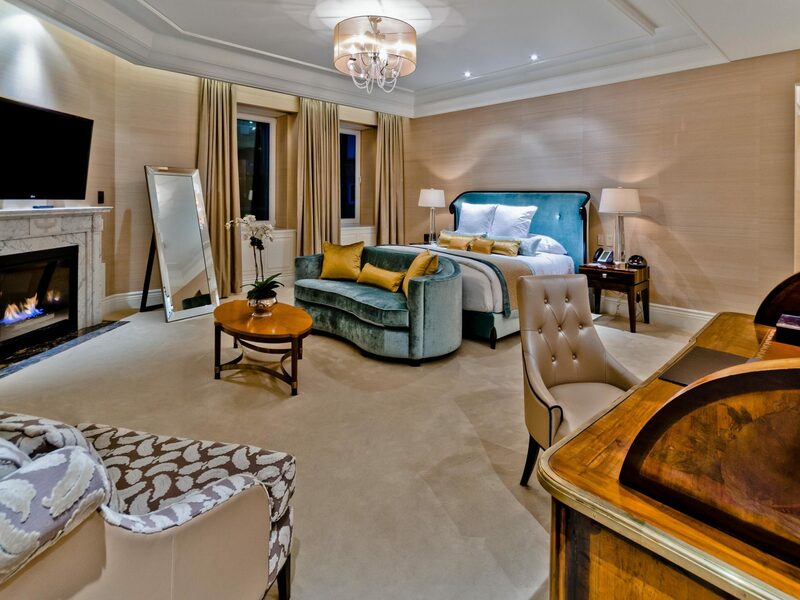 Travel back in time to the neoclassical era at Le Mount Stephen. 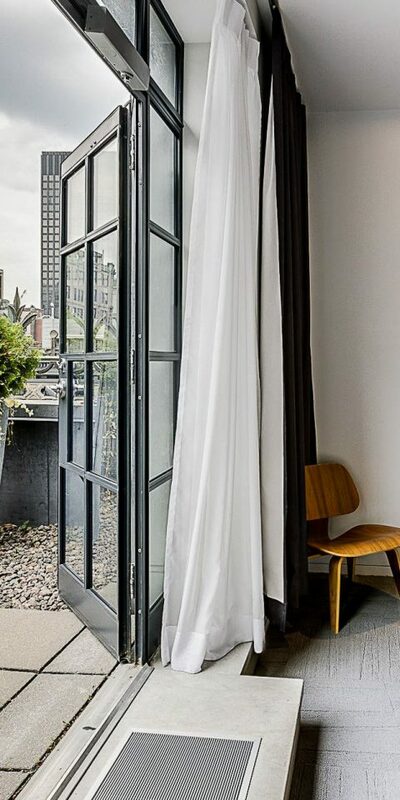 The hotel is housed in a preserved, 1880s-mansion that was once home to Lord George Stephen and is perfectly located on the Golden Square Mile. 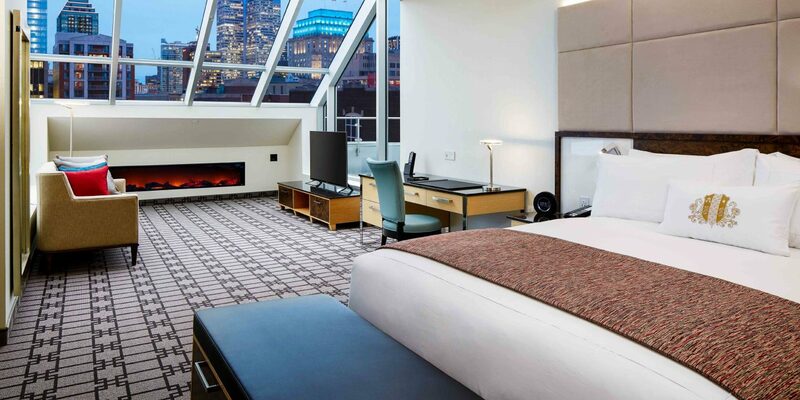 Guest rooms are spacious and airy with floor-to-ceiling windows, heated floors, and Harlequin divine beds. 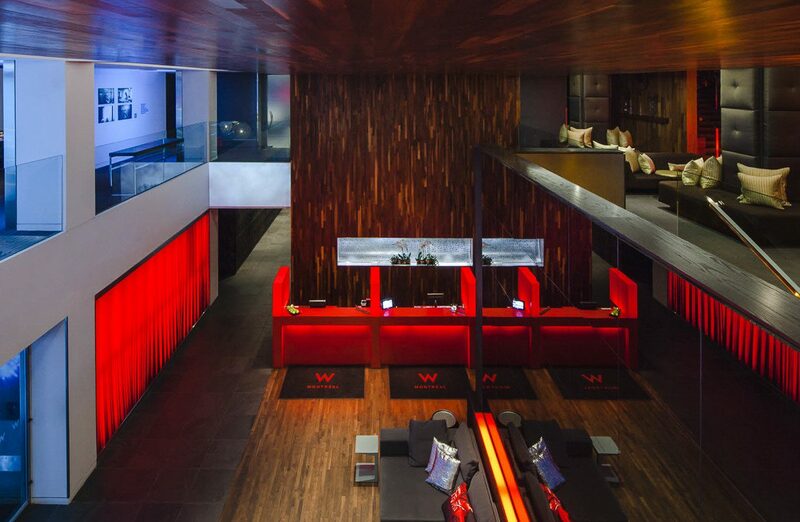 Other highlights: a top-notch spa and fitness center, and Bar George for the British-inspired dishes. 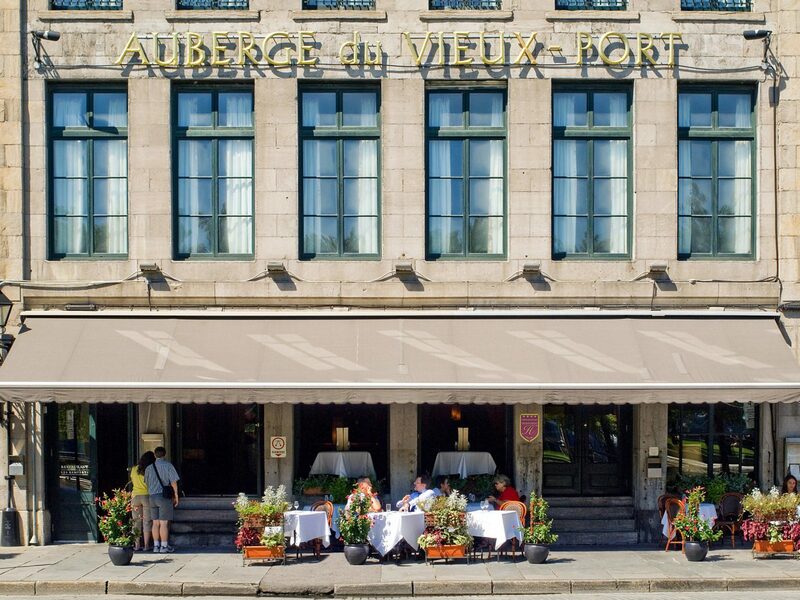 Auberge du Vieux-Port is all about the covetable location, set in an Old Montreal warehouse along the Saint Lawrence River. 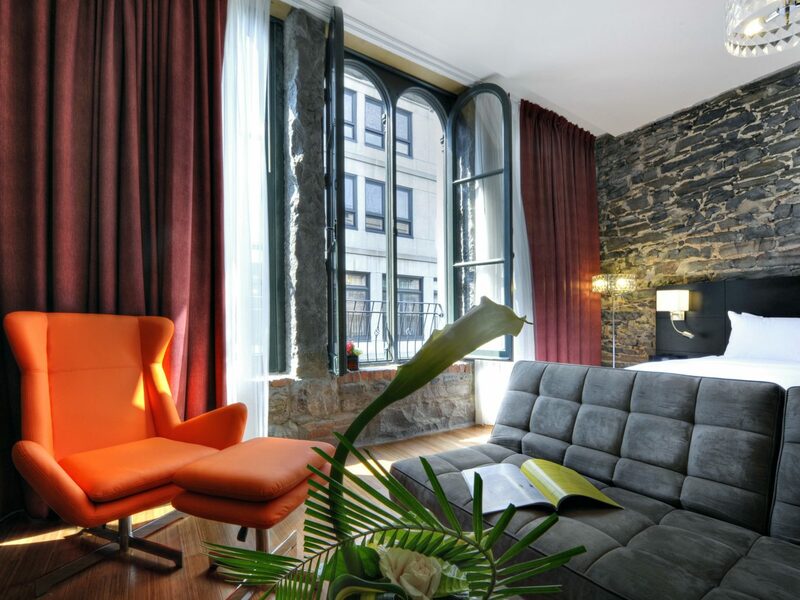 The interiors are the perfect mix of the modern and traditional, with stone walls, ornate bed frames, exposed beams and brick, Ipod docking stations and flat screens. 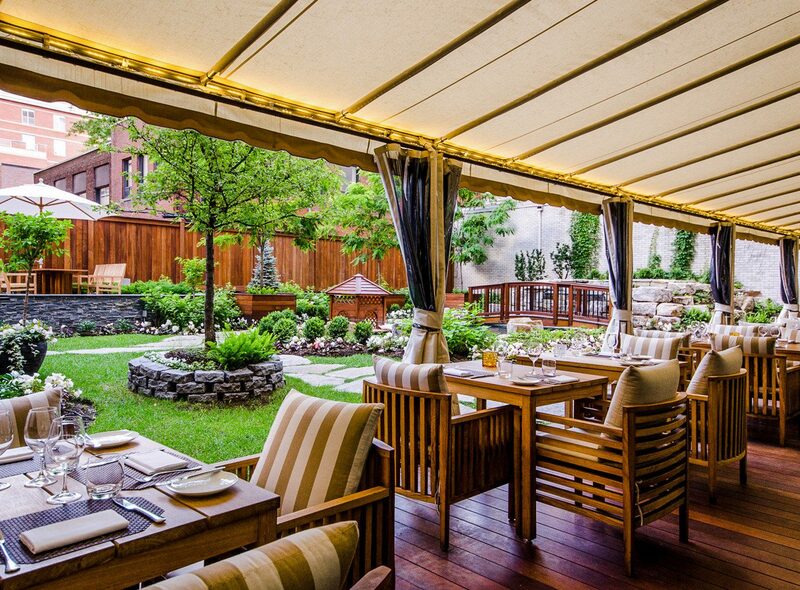 We love the rooftop wine and tapas bar, Terrasse sur l'Auberge, and the Taverne Gaspar, known for its extensive bourbon collection. 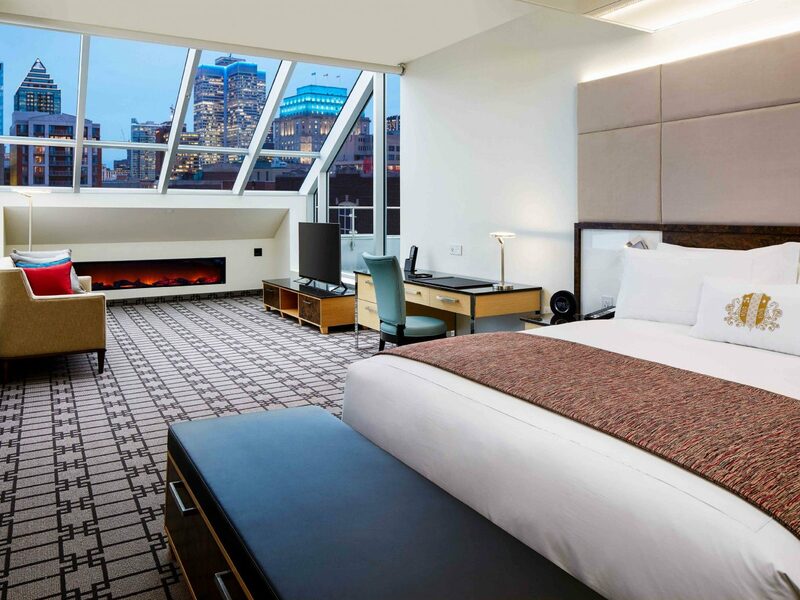 JS Tip: While there's no gym and spa onsite, guests gets free access to the facilities at the hotel's sister property, Hotel Place D'Armes. 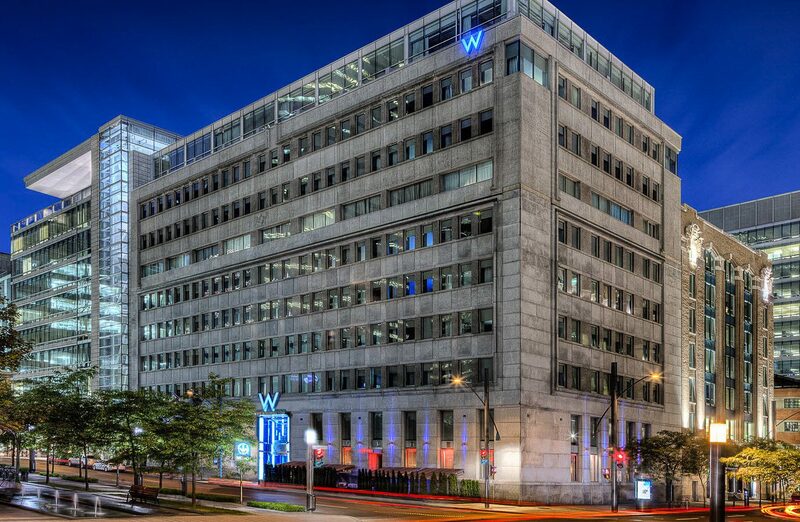 If you're a fan of the W brand, you can't go wrong at the W Montreal located off the tourist track in the Banque du Canada building near Victoria Square. 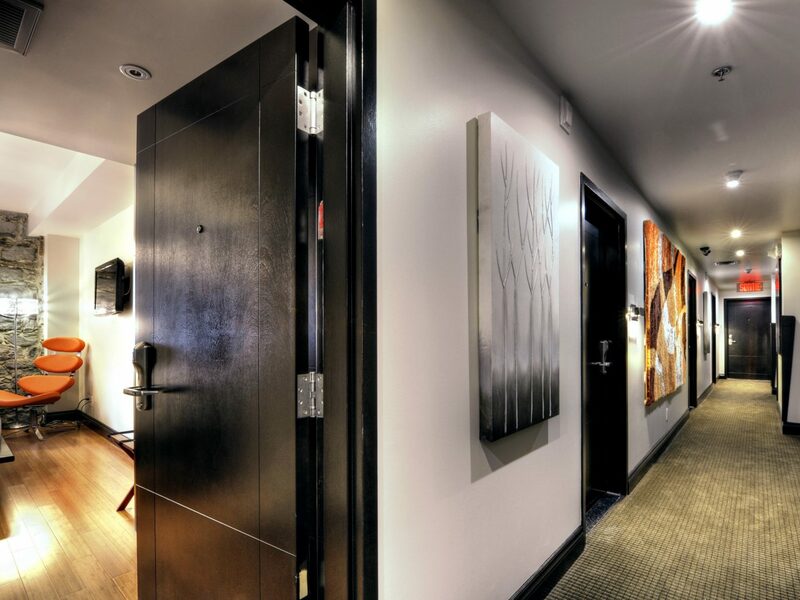 Expect all the usual W amenities--the FIT Gym, WIRED Business Centre, AWAY Spa, The Living Room, and WHATEVER/WHENEVER service--as well as a cool bar/lounge, Bartini and Nom Nom restaurant serving classic Canadian dishes. 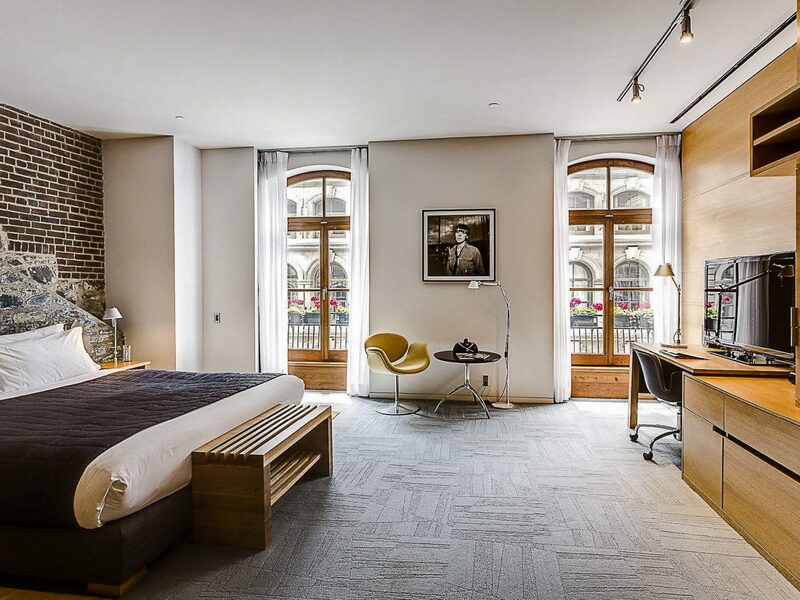 For modern architecture buffs looking for more than your standard guest room, consider Boxotel, in the Quartier des Spectacles. 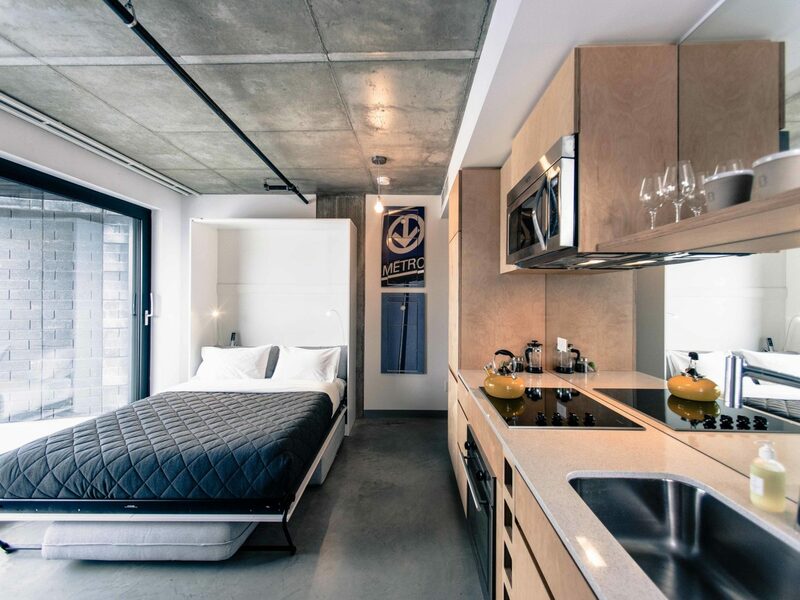 After checking in at the slick poured-concrete lobby, head to your high-ceilinged, mini-apartment complete with kitchen, dining table, washer and dryer, and temperature-controlled floor. 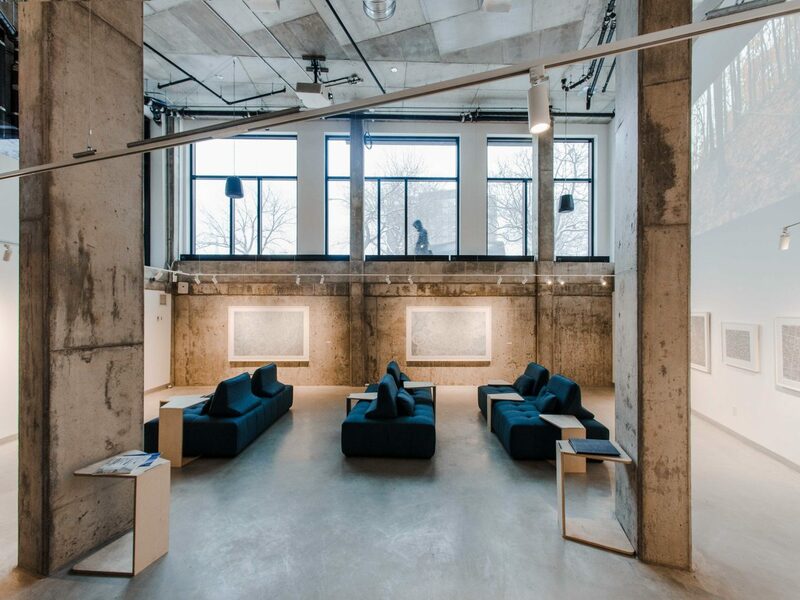 Downstairs, the subterranean art gallery 175B showcases Quebec and Canadian artists, and there's a standout rooftop where you can soak in the outdoor hot tub while taking in the city views. 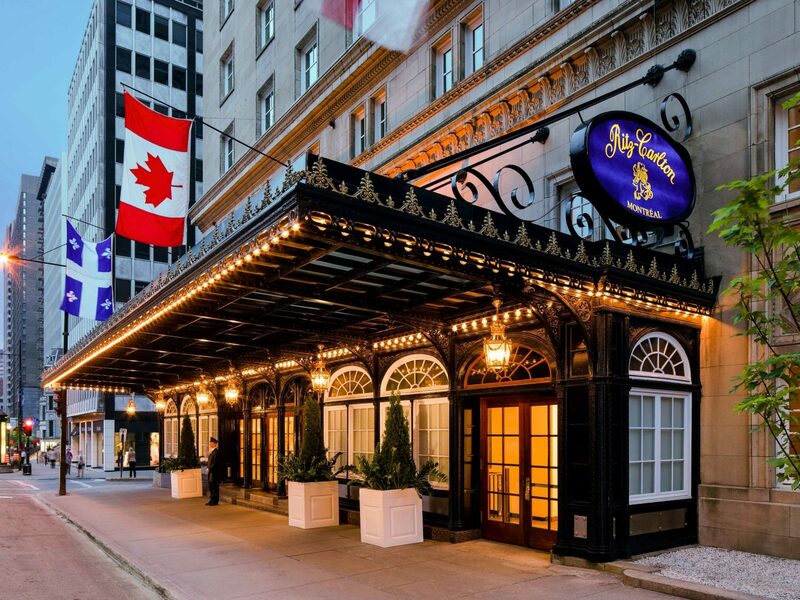 You'll find the first ever Ritz in Canada, the Ritz-Carlton, Montreal, on the Golden Square Mile. 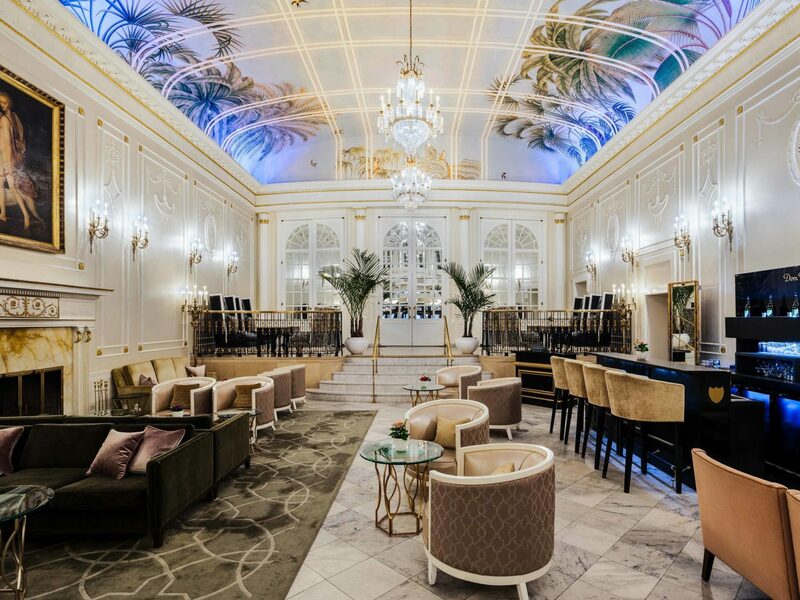 The eye-catching lobby, also known as Palm Court, is famous for its Dom Perignon champagne bar and high-tea service in the afternoons, and both are packed with locals and guests on any given day. 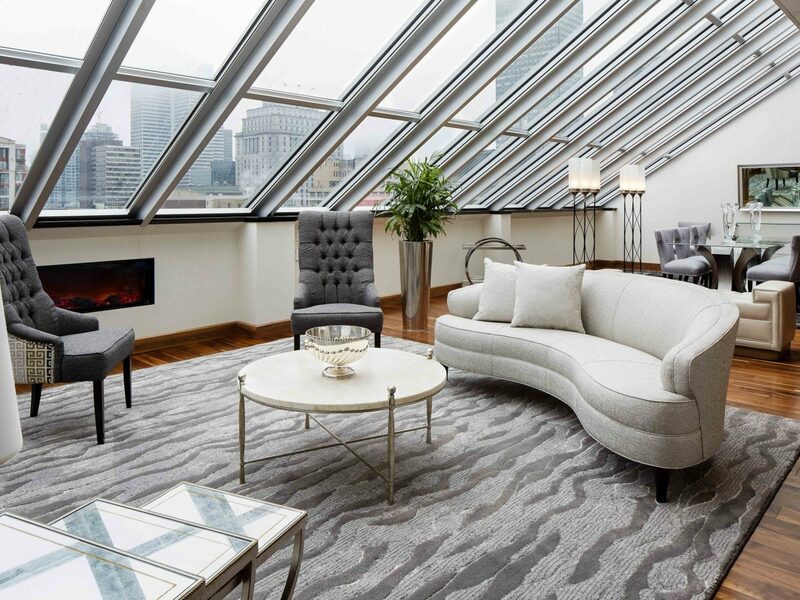 Other Ritz-worthy attractions include a contemporary art gallery; the standout hotel restaurant, Maison Boulud, with a greenhouse attached that's open to the public; and an award-winning spa with Canadian-inspired maple sugar and syrup treatments. 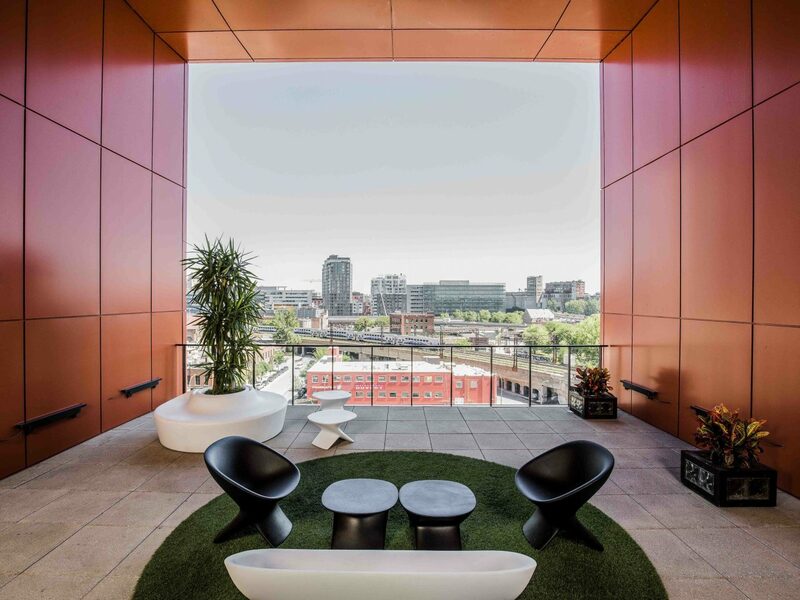 In the city's buzzy Griffintown, check into Hotel ALT Montreal, the perfect pick for those looking for a trendy boutique stay. 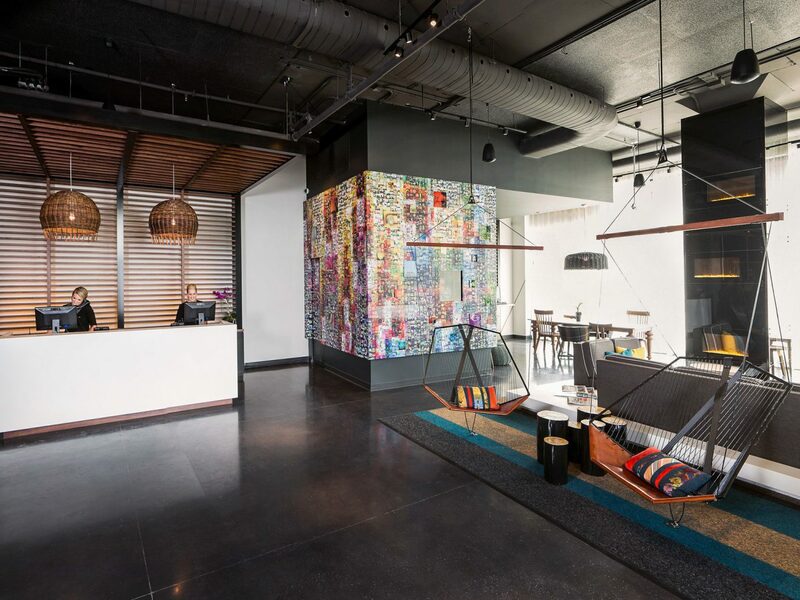 The spacious rooms are decorated with contemporary art and exposed concrete, with colorful accents like orange and purple pillows. 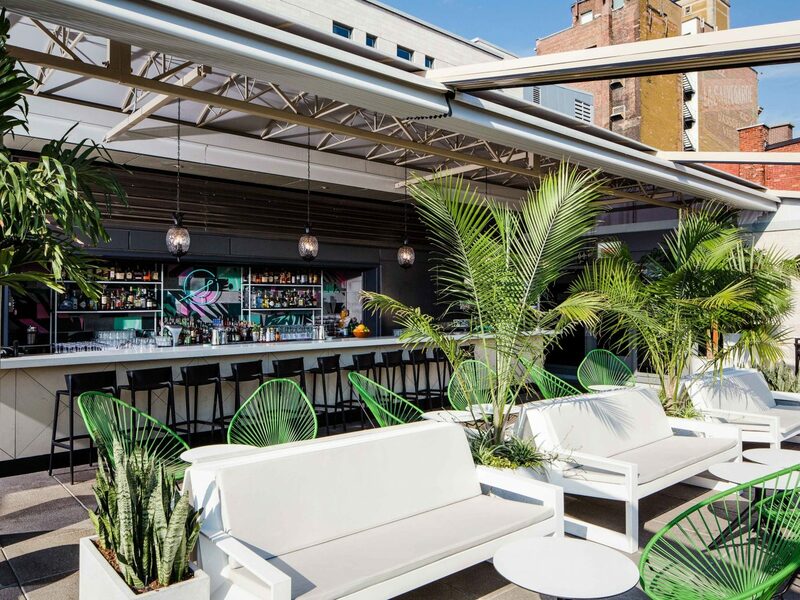 Don't miss cocktails at the rooftop bar, aptly named "7th Heaven." 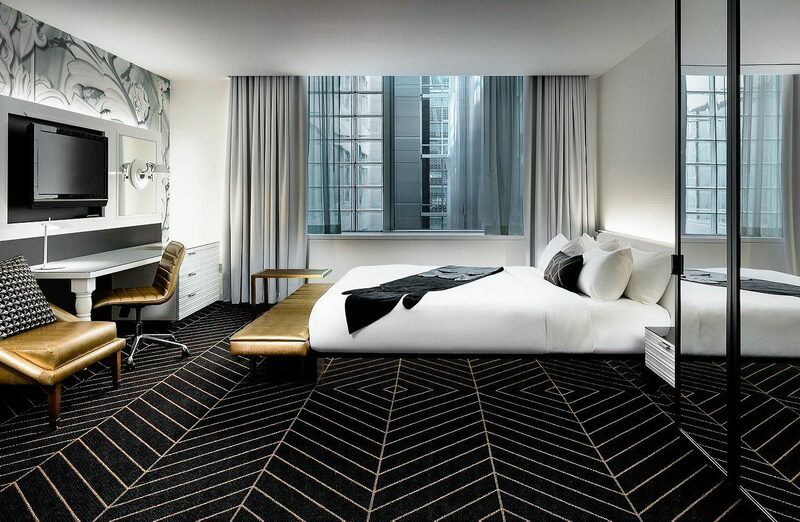 JS Tip: As with all ALT hotels, there's no set check out time, so you can sleep in all you want. 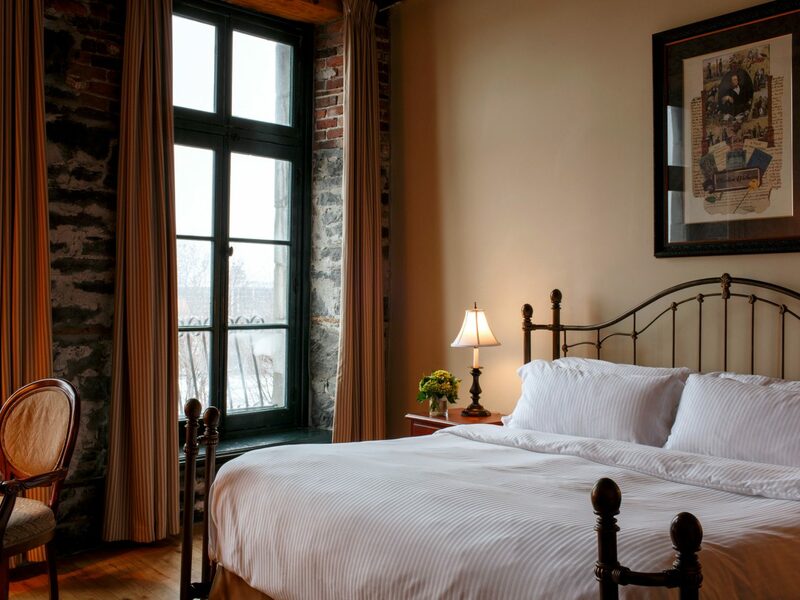 Tucked away in a quiet section of Montreal's Old Town is Le Petit Hotel. 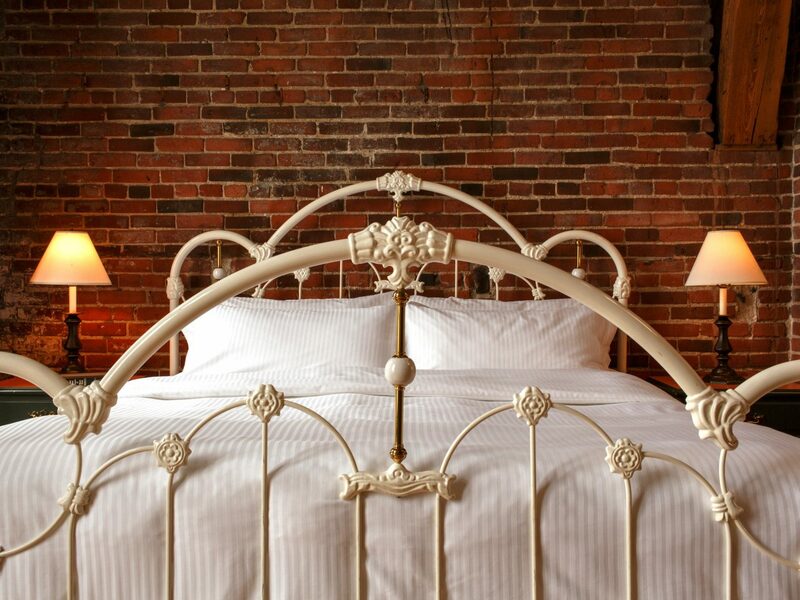 We love the hotel for its intimate feel, with complimentary croissants delivered daily from a local bakery and free bike rentals for taking leisurely rides along the riverfront. 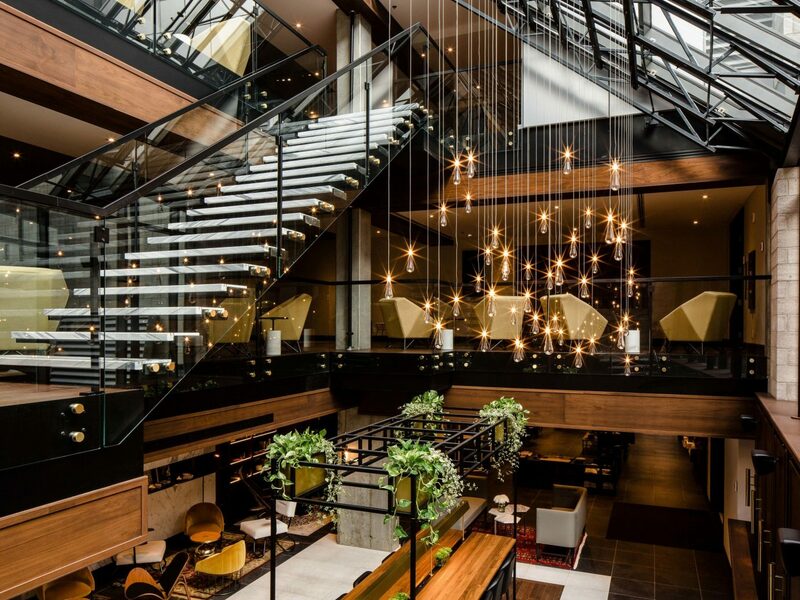 Inside, public spaces are decorated with furniture from local design shops, and there's a cozy lobby coffee shop, Le Petit Cafe, which serves great lattes. 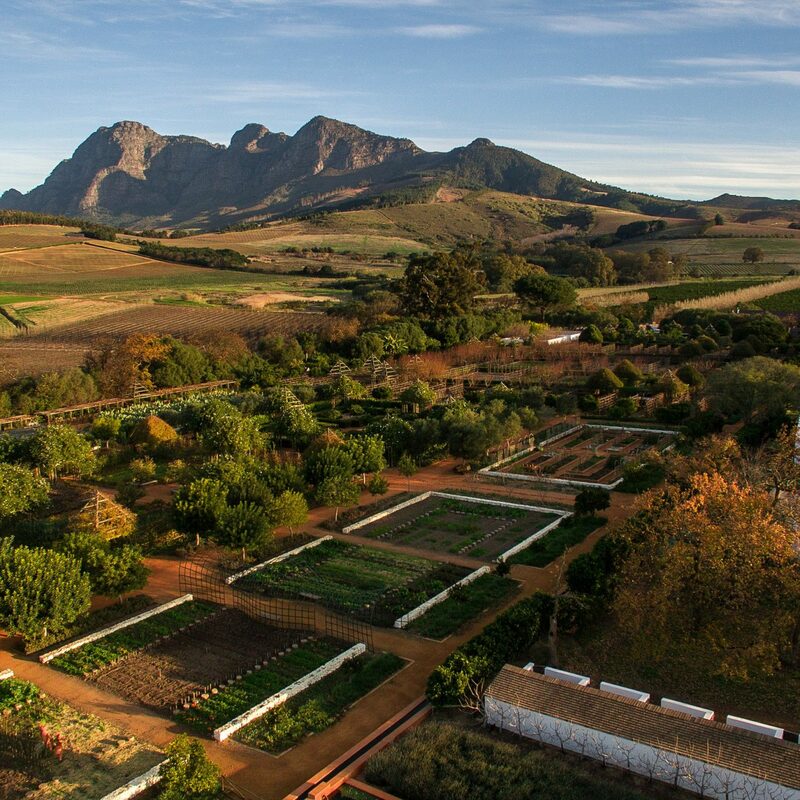 Grab a cup before heading out to the nearby museums and cathedrals. 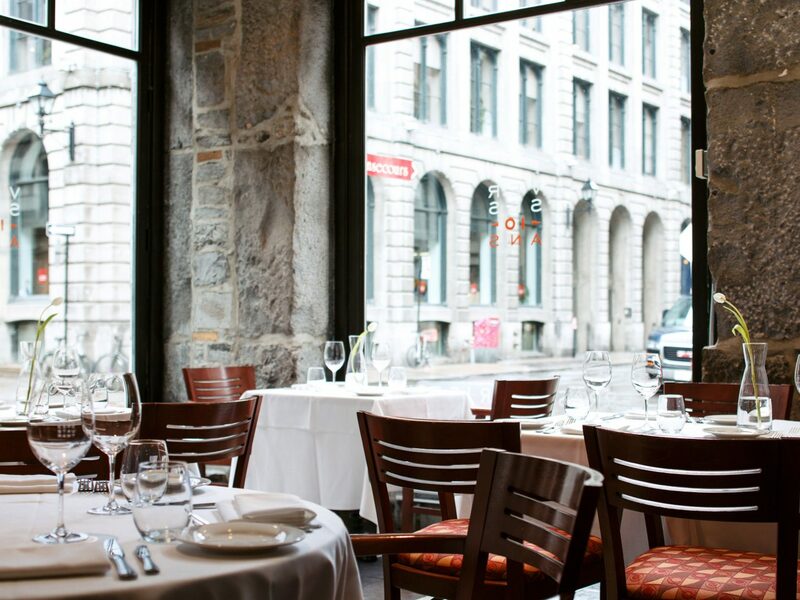 Just steps from tourist spots like Old Port and Notre Dame Basilica, Hotel Nelligan is an ideal choice for those looking to stay in the heart of in Old Montreal. 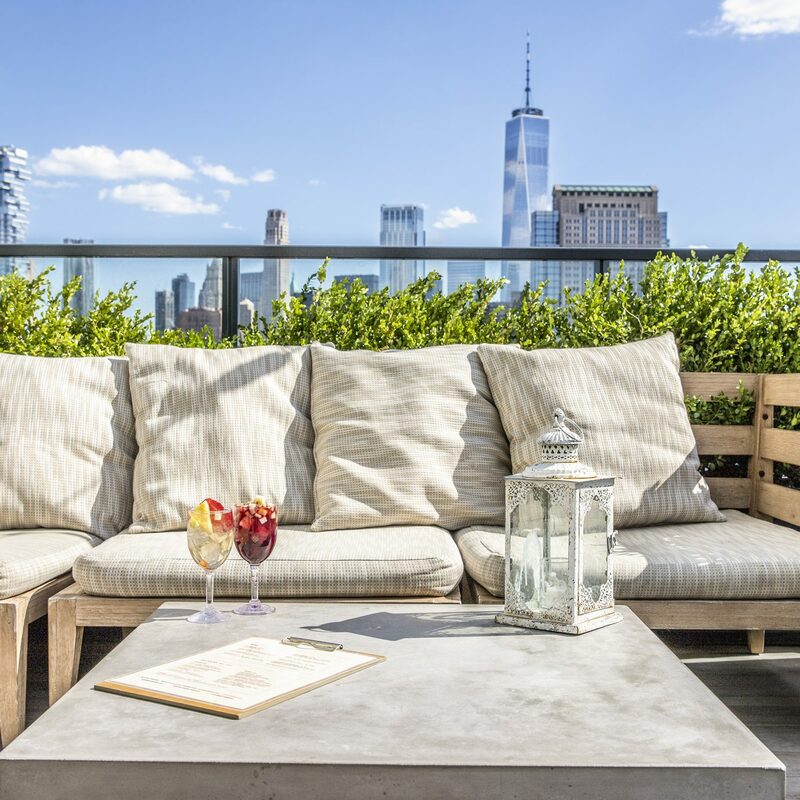 The property has a bistro, bar-brasserie with a great happy hour, and a rooftop terrace overlooking the city's famous landmarks. 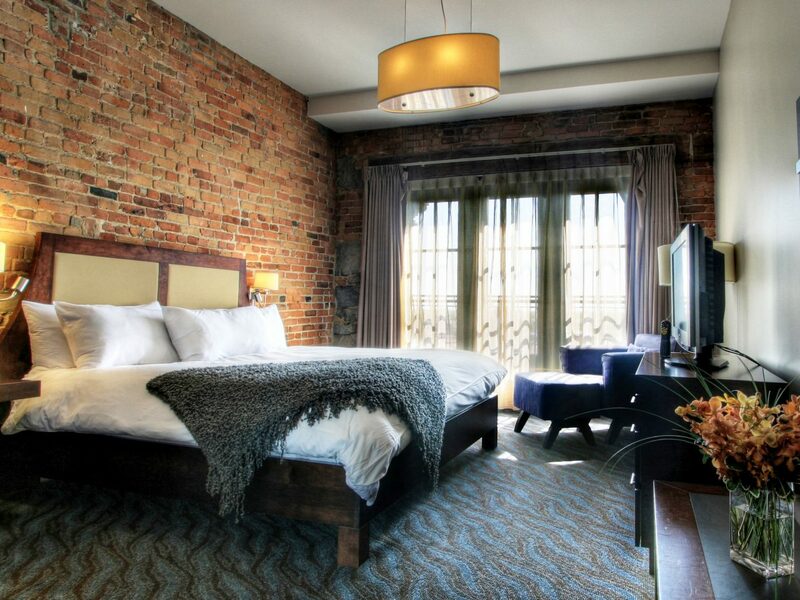 Upstairs, the 105 guest rooms incorporate exposed brick, clubby leather chairs and plush queen sized beds. 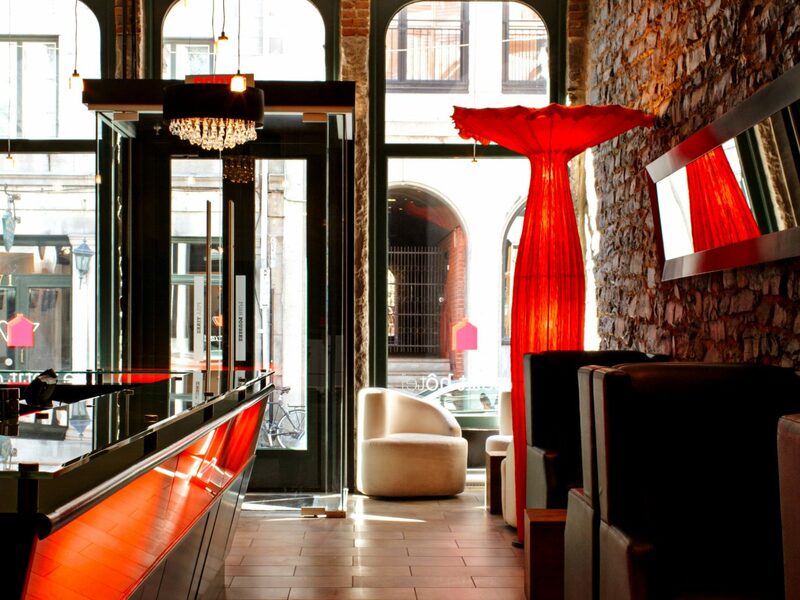 The staff is super friendly and will give you the scoop on the best spots to eat and drink in the neighborhood.